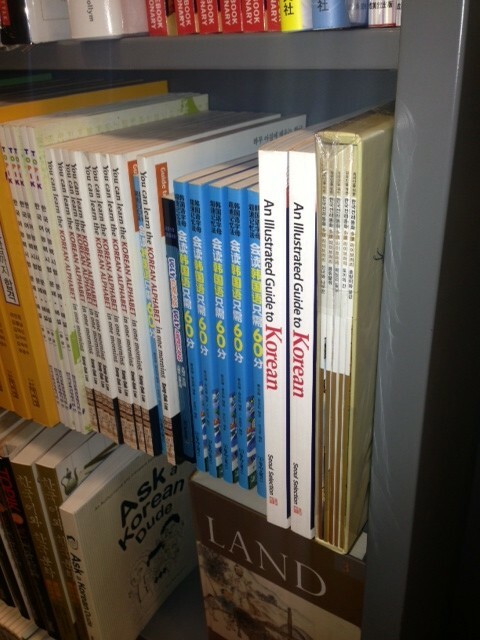 Kyobo Bookstore – first spotting. Took a trip to Kyobo Tower in Gangnam-gu, Seoul tonight. There’s a large bookseller (Kyobo Books) located on the B1 level and it’s open until 10pm. I stopped by the Information Desk and asked for a book with the ISBN 9781624120121. The desk attendant handed me this map and book locator. 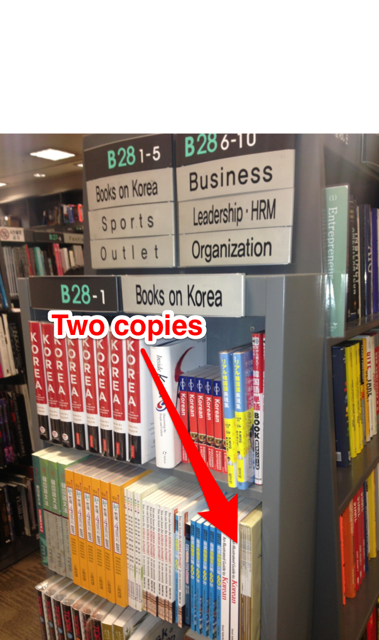 I walked over to the Foreign Books section (B) Aisle 28-1 (end cap of aisle) and was excited to find our book there. 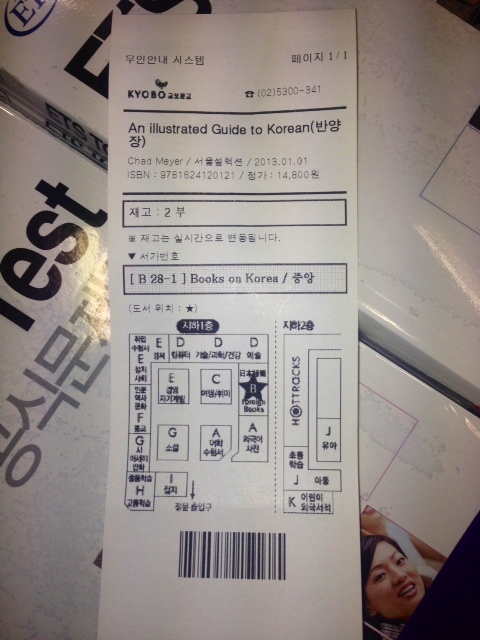 This entry was posted in Uncategorized and tagged An Illustrated Guide to Korean, book, book store, bookseller, Kyobo, Kyobo Tower by easykorean. Bookmark the permalink.